A foot massage is one of those required stops when visiting an Asian country, isn’t it? This was to be my first authentic Chinese foot massage. I’ve read that the best ones are given by elderly blind Chinese men and women. This is their trade (hell, a blind old man can’t drive a bus, so he needs something to do) so they do it very well. 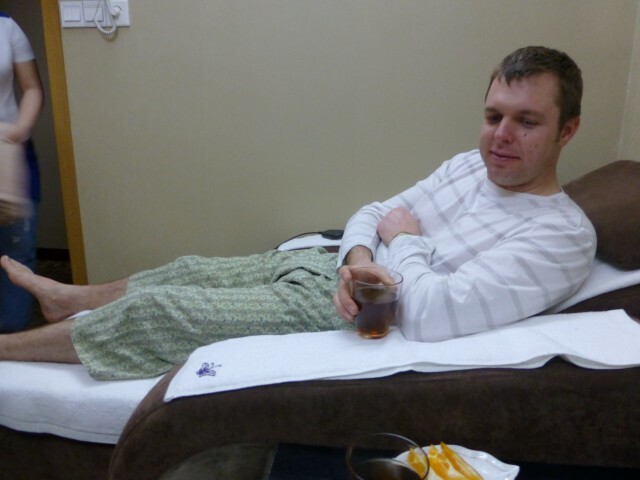 After a bit of pulling teeth, we got a recommendation for a reputable massage parlor for an authentic foot massage. From what I’ve heard and read these foot massages aren’t the soothing, relaxing Swedish massage you get at a spa here in the US. These masseuses dig into your feet to release pent up stresses and can be quite painful, but the end results make your entire body feel amazing. MS and I were led into a room with two chairs for our massages. We change into the pajama bottoms provided and begin to soak out feet. The space wasn’t all that soothing – it was quite, but had a distinct smoke smell…hell, everything in Shanghai had a tobacco smell about it. That tea looks like the water our feet were just soaking in. I’ll pass. This hour long massage was quite disappointing. 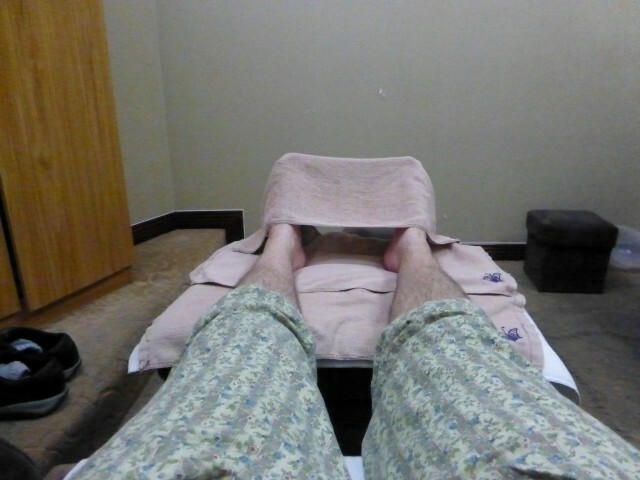 Instead of being the semi-painful massage I was expecting, it was just a calm foot rub. My expectations definitely were not met. We both left a little frustrated – we didn’t have time to get another massage someplace either. 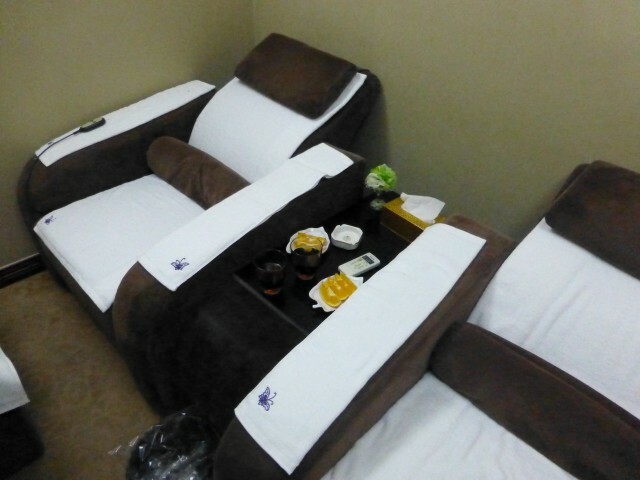 The plus side, the massages cost us only $13 each (the cost of an average weekday lunch back home). Have you had an authentic Chinese Foot Massage before? Where did you get it, in country or in your neighborhood back home? I’m not going to provide more details on where this massage parlor was because it was a disappointment and there is NO chance you guys will accidentally stumble upon it. By Tim in Travel on April 4, 2013 .